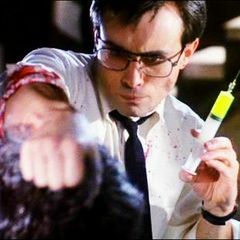 Jeffrey Combs is a primarily horror and science fiction actor best known for his performance as Herbert West in the cult classic “Re-Animator.” Including the “Re-Animator” series, Combs has acted in 8 H.P. Lovecraft adaptations. 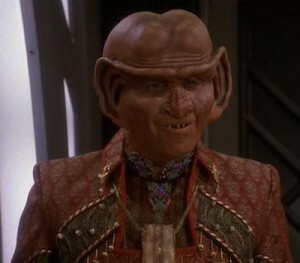 Fans may also recognize him for his recurring roles on “Star Trek: Deep Space Nine,” “Star Trek: Voyager,” and “Star Trek: Enterprise.” To date, Combs is credited with over 50 feature film roles, 30 television credits, and several voiceover credits. Q. Did you grow up loving horror movies? Not any more or any less than movies in other genres. Q. Should H. P. Lovecraft be required reading for middle school students? I don’t have a strong feeling about that. His stories tend to be more atmospheric than plot and/or character driven so perhaps he doesn’t fit well with middle of the road reading curriculums. Q. Dr. Herbert West is one of the most beloved and recognizable horror characters of all time. How did you create such a timeless role? That’s not particularly easy to answer quickly. I trained for years to be an actor. I attended an actor training program and performed in many, many plays. All of that was preparation. So Herbert is a reflection of that work and dedication to craft. Technique and intuition. Q. What movies or music are you enjoying today? I love both. I listen mostly to my own library of music, which is quite eclectic. Beatles, Yes, Iron and Wine, Willie Nelson, Hendrix, Stevie Ray Vaughn, Muse, Radiohead, Classical, Zeppelin, Miles Davis, etc. Recently I’ve been listening a lot to a fairly unknown band called Turnip Stampede. They’re great. With movies I’m just as eclectic. All over the place. All genres. Foreign and domestic Just saw J. Edgar and really admired DiCaprio in it. What a fine portrayal. Q. If you didn’t become an actor, what would you have been? Don’t know. Writer? Kind of a one-trick pony. 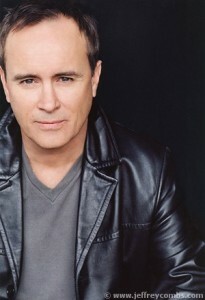 To learn more about Jeffrey Combs visit his website. H. P. Lovecraft, Herbert West, Horror, Jeffrey Combs, movies, Re-Animator, sci-fi, Star Trek.